GALION — Galion’s worker population continues to grow, so next up on city government’s to-do list is finding new housing for for that growing segment of the community. 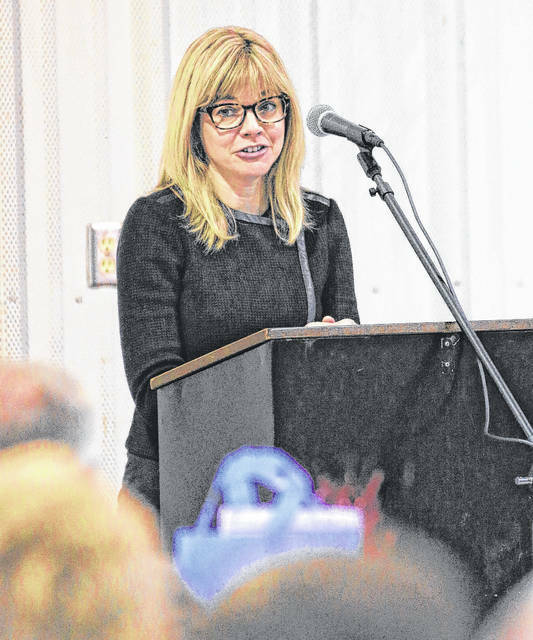 “Not only would it benefit new businesses in their recruiting efforts, it would also lessen the burden on others in Galion who are paying for infrastructure,” O’Leary continued. Gary Frankhouse Jr., executive director of the Crawford Partnership, said Galion and Crawford County continues to grow. Jerry Morasko of Avita Health System talked about an epic year for the local hospital and its continued growth. “We’ve got 1,750 employees, we have a $60 million investment at Ontario and that led to 600 employees, the Bellville facility we’re expecting to open in August and we’re starting an interventional cardiology program, which means we can put in stents here,” Morasko said. He also talked about the new computer system now in use by Avita and it was announced this week that Avita is teaming up with the Cleveland Clinic to provide more oncology services for Galion area residents. Galion City Schools superintendent Jim Grubbs talked of future plans for the Galion campus off Ohio 598. He said the new bus garage will be completed first and will benefit student safety and save the district money. Future plans include soccer fields, an auditorium and more. He also talked about a rough few weeks for Galion City Schools administrators and students. In the last month, there have been three bomb threats and a substitute teacher was removed from a classroom. 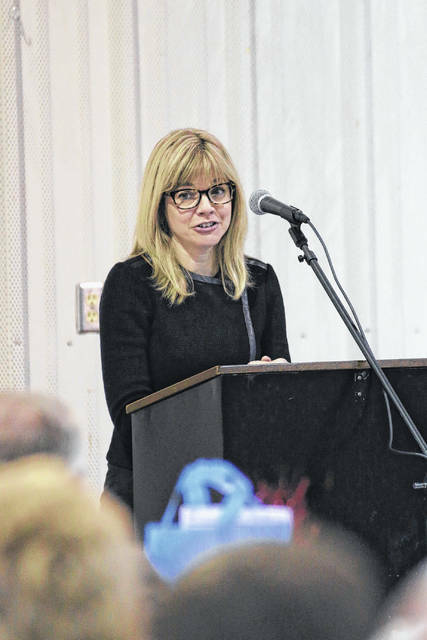 Tuesday’s guest speaker was Maggie Sheely of the U.S. Chamber of Commerce, who talked about the benefits Galion area and Ohio residents have seen in — and will continue to see — after tax cuts were announced last year.